Sothys @ Glo Damansara Mall: Enjoy 30% off for facial treatments/services to get you glow from outside-in. Synapse Physiotherapy @ Glomac Menara branch only: 1st consultation fee (RM 150) waived and 10% discount for treatment. Salad Atelier @ 6 branches in KL & PJ: 15% off menu dine in or take-away. Click the hyperlinks above for their full address and operating hours. 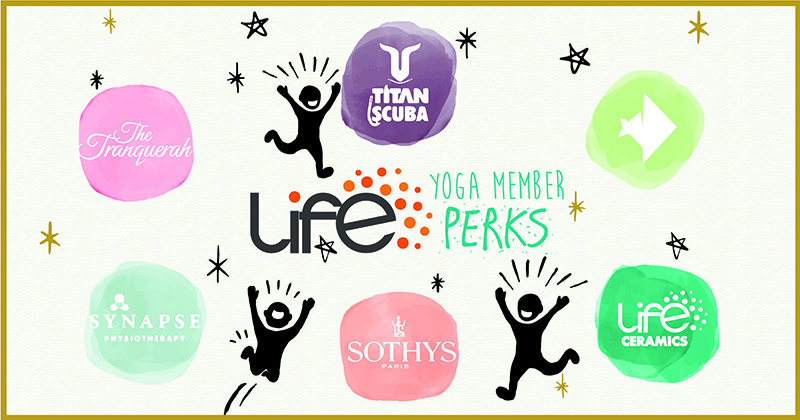 Kindly Note: LIFE Hot Yoga|Cafe|Ceramics does not have any financial arrangements from the collaborations. The offers are provided to members on good will basis. LIFE YCC does not imply endorsements or guarantee of services/materials/food provided by the above vendors and are not liable for any complaints due in the above-mentioned vendors.